We live on a really fantastic planet with amazing nature and an animal kingdom that never cease to astonish us. This nature provides us with fresh oxygen and gives us the nourishment we need to live. We humans learn a lot from nature and are using it to develop amazing technologies that make our everyday lives easier. So that future generations will also be able to enjoy life, we have to seriously call into question our current lifestyle and consumption. We need to start a sober discussion that leads us far away from “us vs. them” populism. We still have the opportunity to positively change the way we consume and to develop “green” technologies that not only make our lives easier, but that improve our habitat. Let’s roll up our sleeves and get it done together! Together with young people, scientists, startups, philosophers and green capital investors from all over the world who are committed to working for sustainability, healthy nutrition, nature preservation and animal welfare, and to peaceful and fair coexistence, we want to create an exciting and inspiring “Ecoana” village. A place where multipliers from all sectors can meet, network, inspire and support each other. They need to debate questions concerning our future, develop exciting technologies and set in motion a new business cycle that’s based on fairness and equality. To do this, we want to initiate projects in ten different areas over the course of the next ten years that can stand alone, but are networked and can interact with each other. Ten different areas, one common denominator for a sustainable society that uses its resources wisely. Healthy nutrition doesn’t have to be expensive and most foods certainly don’t have to contain chemicals. But things like snacks contain an unnecessarily high amount of sugar and are riddled with dozens of additives. Ecoana snacks are organic, vegan and completely free of chemicals. 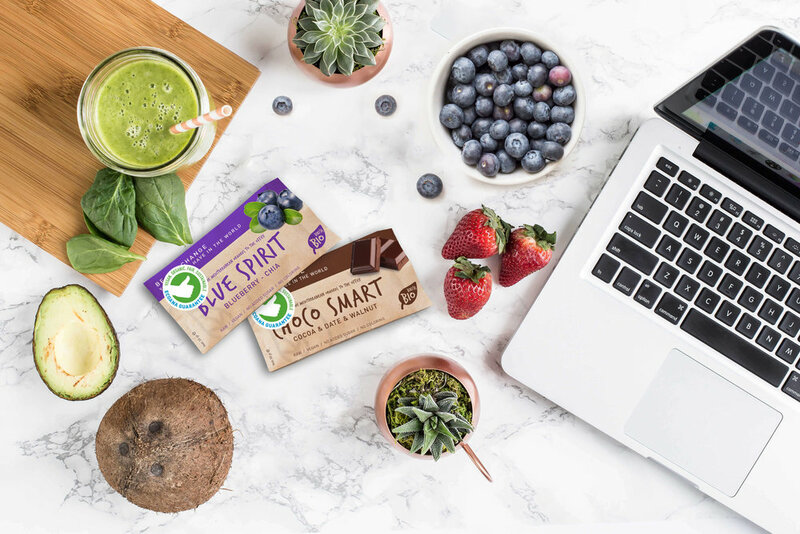 Beyond that, we have connected every product with a tree planting project and a social project, so that you can enjoy these delicious snacks with a clear conscience. This project has been running in Germany since March 5, 2019. We are planning to expand it into additional countries. Let’s have a face-to-face, clear and open, non-emotional discussion. What have we done wrong in the past, and how can we do things differently in the future? Where do we urgently need to act and how can we get started? Let’s listen to each other’s ideas and concepts. An OpenMind meeting of students, academics, scientists, inventors, entrepreneurs, organic farmers, NGOs and philosophers. We’re looking forward to a lively discussion. Simply brilliant! Life also means having fun, spending unforgettable time with friends, attending Ecoana concerts or participating in the Ecoana Sports Festival. You will experience firsthand how sustainable and supportive of the environment this all is, because at the festival, you will find t-shirts made of cellulose, eat delicious organic vegan snacks, and your entry fees will be used to plant trees and support social projects. So, are you excited yet? Yeah! There are thousands of trade fairs worldwide, but far too few that focus on sustainable, innovative green technologies, startups, organic produce, veganism, green sponsors and fair trade. That’s why, once a year, we want to focus on putting on a trade fair where everyone can attend, regardless of how small their company is or whether they’re only in the initial stage. We’re looking forward to an exciting get-together! We all know how important a good education is. That’s why we decided to create a centralized source of information for workshops and continuing education programs for all interested farmers, students and engineers. Down the road, we believe this will result in partnerships with a university or a faculty for interdisciplinary research. We can hardly wait to welcome you in person! Just imagine that there are places where you can relax while protecting the environment at the same time. Where you nourish yourself only with healthy seasonal fruits and vegetables harvested from a permaculture garden. Where excursions into the surrounding nature allow you to let your soul run free, and you can feel the soft breeze in your hair. Yes, as a matter of fact, such places still exist. We research these vacation spots, and show you how you get there and all there is to discover. Just for you. And we promise, you will be blown away! Many exciting positive developments, both large and small, take place on this earth and give us all a reason for hope. Positive developments can quickly get lost in the flood of information that social media hits us with every day. Therefore, we want to publish a magazine twice a year that will give us all an overview of the topics of energy, sustainability, mobility, green technologies and interesting inventions. Naturally, our magazine will not be made of cellulose, but, rather, of grass! You read that right: it will be made of grass and be 100% compostable. A revolutionary new technology. We’re already in love with it! The shops are intended give us all the opportunity to be able to buy alternative products that have ethical and moral value. In addition, the majority of the income will be used for charitable and environmental protection projects, which will again make us happy and affirm that we are doing good in the world. This will move us all forward as a society. The first shops will be opened in Turkey and follow in Germany later on. Exciting times are coming and you will be right there! Theory is one thing, and practical research and development are another. But research costs a lot of money, and when it comes to socially relevant innovations, existing laboratories are, for the most part, not up-to-date enough. In order to develop innovative technologies that protect the environment and preserve resources, we need a state-of-the-art laboratory, and access must be free of charge for young students so that they can turn their ideas into reality. As Ecoana/Lab we absolutely want to make this happen. We already have one initial idea to get us started: compostable packaging made from strawberries that you can actually eat! We’re totally in love with it! Do all of our projects sound crazy or utopian to you? If we run out of clean air to breathe tomorrow and have to pay someone a lot of money to recharge our oxygen tanks, or our roof has been blown away by storms multiple times in one year and we can no longer afford insurance, then we need to ask ourselves: why didn’t we do anything back then? It would be crazy for us to simply continue to live the same way we always have. That’s why you should be a part of Ecoana. Together, we can do it. Far away from large, exploitative companies, we want, together with all of you, to create a place where we can share in discussions, where we can jointly research, develop, further educate ourselves and swap ideas – all with the goal of efficiently confronting the challenges of our society. We’ll see you on campus! Join our team and together let’s make what’s possible a reality! Invest your time and your knowledge to help us achieve our common goal as quickly as possible. We are still like seeds hidden in the soil, but we will soon bloom. And you can bloom with us, and later perhaps even find your calling with us. We have big plans and we need you, your knowledge, your ability and your ideas in order to make the world a little bit better. If you are like us – a nature enthusiast with boundless energy, someone eternally committed to making the world a better place, whose mother rolls her eyes when she hears you lecturing about separating your recyclables – then you’ve come to the right place! Apply now! Now on the road in Germany!